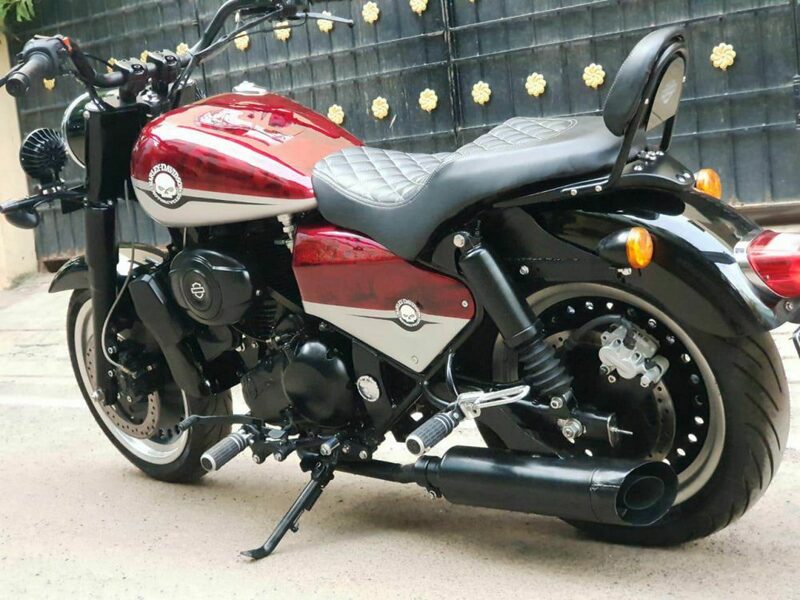 Awesomely Modified Modified Royal Enfield Classic 350: Are you dreaming of Indian Scout Bobber or Harley Davidson Fat Bob in bright daylight? 16 Moto Performance can help you get a motorcycle of your dreams if you already own an RE Classic 350. They are already known for extensive modifications based on Royal Enfield bikes, and this one is no different with bulky body panels with class-leading paint quality. The modifier has used a unique headlight design with two supporting LED fog lights and thicker than ever fork covers for the front suspension. The fender is custom made as stock version would not have looked as compatible as this extra flat unit. They are using a familiar fuel tank design with a size that matches those huge bikes mentioned above. Creating an illusion of a white wall tire, the rim used on this modified Classic 350 comes with black inner and silver outer section. They have used a custom seat that not just looks premium but, also comes with extra padding for enhanced comfort. A rear backrest with complimenting diamond quilting completes the package. 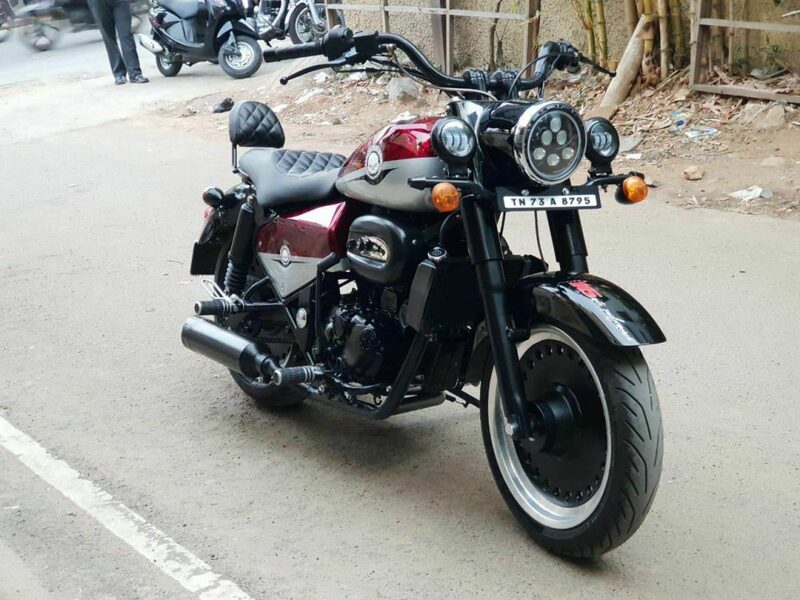 They are using dual exhausts with all black finish, larger than the standard diameter and Harley Davidson inspired engine panel. Even the under seat panel is custom made and finished in dual tone shade. An extra wide handlebar completes the package. 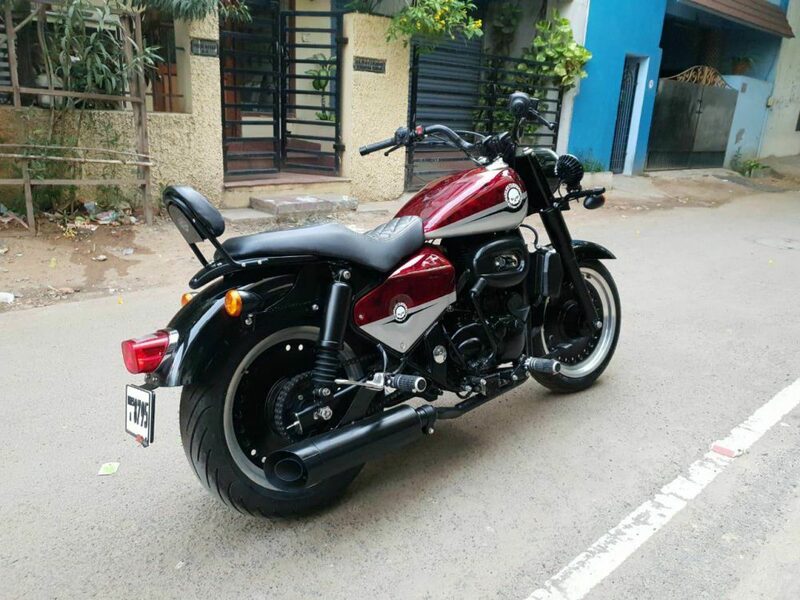 Royal Enfield bikes serve as an impressive base for these kinds of custom built jobs. The platform allows the use of custom swing-arm is a modifier tries to increase the overall length. 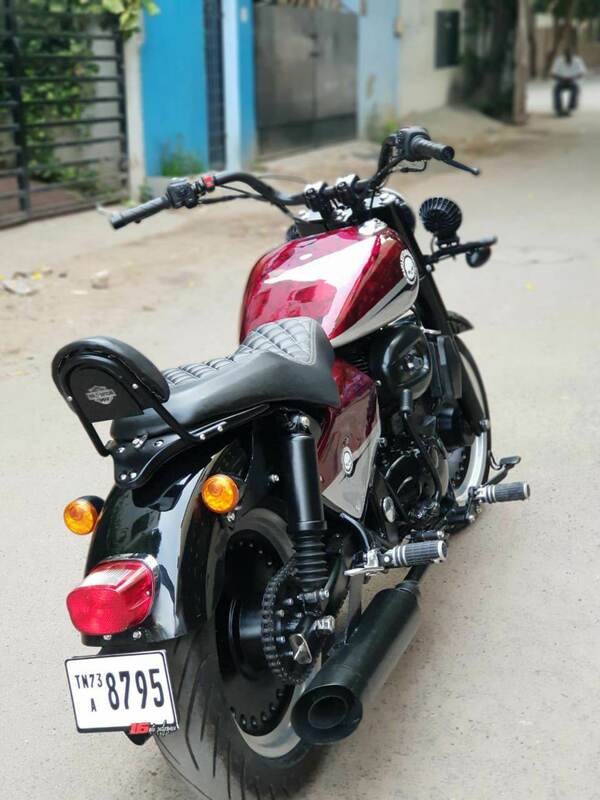 Not just that, one can also use the same exact frame and fit a number of fuel tank designs to create a motorcycle that looks similar to Harley or Indian bikes. 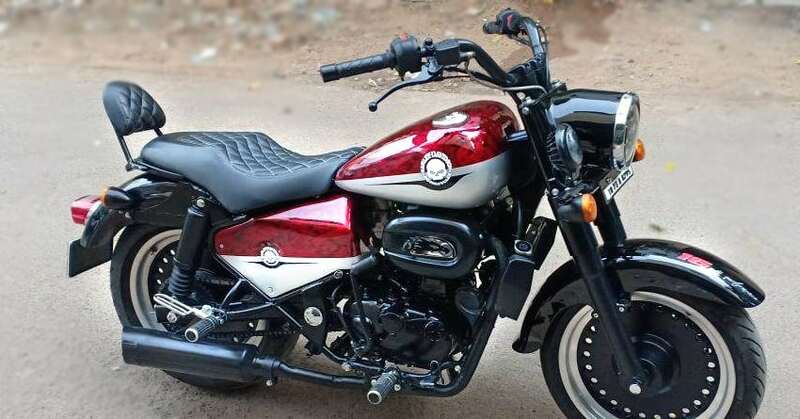 Royal Enfield range starts from INR 1.17 lakh while this one is based on an INR 1.40 lakh worth model from the Classic 350 series. Both ends of the motorcycle are available with disc brakes.